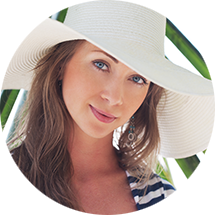 In our recent blog post – “5 Major Benefits of Ulthera® for Skin Rejuvenation” – our dermatologist, Dr. Deborah Atkin, discussed a number of benefits regarding the skin tightening procedure called Ulthera®. Concluding this list, she noted the long-lasting potential of the treatment. While some results can be apparent immediately, the peak of a patient’s results will typically occur about two or three months after the treatment. This gradual improvement provides subtle enhancement for the most natural-looking outcomes, without being obvious that any treatment was received. What is most significant about Ulthera®, however, is how long the results can last. Dr. Atkin explains that the length of a patient’s results will vary according to the individual, but people often see their improved appearance last for two or three years. While the rejuvenative effect is typically long-lasting, our dermatologist emphasizes the importance of having realistic expectations throughout the process. Just because facial aging has been addressed does not mean the aging process suddenly stops. Dr. Atkin notes that patients may wish to return for a follow-up treatment to maintain optimal results. 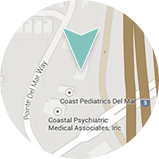 If you are interested in receiving Ultherapy® and would like to schedule a consultation with Dr. Atkin, please contact Dermatology & Laser of Del Mar today. Also, stay tuned for the next post in our Ulthera® blog series during which we’ll detail what makes someone an ideal candidate for the procedure.